Different plugs and different cable means you cannot plug one device to another, right? Not necessarily. Plug adapters exist to solve exactly this problem. You can use an adapter to plug something awesome from the 80s like the IBM Modem M keyboard, which uses the old AT plug, and use it in a workstation that only takes PS/2. Your machine only has USB for keyboards? well use a PS/2 to USB adapter in-line with the AT to PS/2. So the plug shape and size is no matter. But how far can this go? In this project born from necessity, we will see as long as the devices use the same protocol, which are actually no where as diverse as the zoo of connectors that are out there, they can talk. In fact, before USB and ethernet and 802.11 ruled the day, RS-232 was pretty much the universal way digital devices talk to one another. Terminal at Norad in War Games that the heros used to talk to WOPR? RS-232. The Acoustic Coupler that they literally plugged the phone headset on? 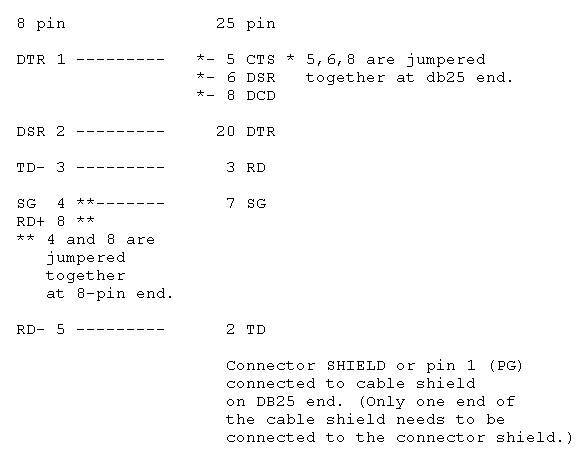 RS-232 serial Modem (same setup was shown being used inside the Matrix.) As with all the production hardware, they keep using what is reliable rather than chase the hot and new, so if what you do matters, serial communication is still useful to this day. Yes, Mr. CCNA, serial is how you telnet into your nice routers, and terminal redirection is so useful and cool with a TRS-80 Model 100 inside a data center talking to servers directly without touching the network, programmer's access indeed. This is spinal tap, digital style. 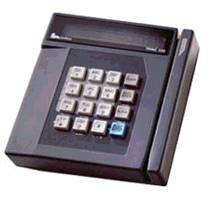 Originally designed to process credit card transactions at retailers. You slide your mag stripe credit card, the merchant inputs the sale amount, a slip prints out for you to sign, and the fund gets transferred. You have probably seen it at a restaurant or maybe even used it yourself. Software wise this thing is as simple and as modifible as can be. You will see versions of it in use even after the PCI security standard made it obsolete for its original intended purpose. 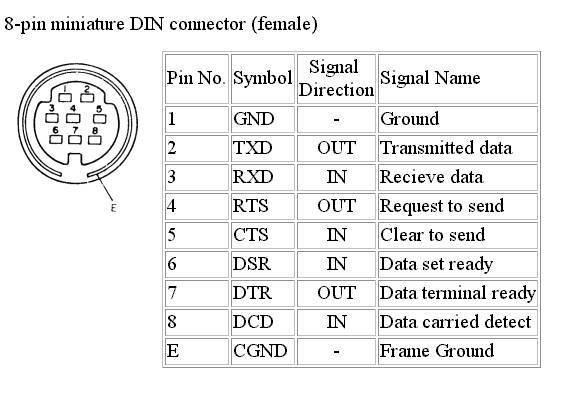 The code it runs is called TCL, Terminal Control Language, Verifone's assembly language for this range of devices, if you take the time to read the documentations and learn its assembly, it is programmable right on the terminal itself, the knowledge to do so is available for free. The system is open sourced, as in speech. (and as far as the information and tools are concerned, as in beer too.) The only thing you pay for to hack this device is the trivial cost of obtaining the terminal hardware itself. Inputting a program in assembly into a terminal using 10-key is more fun than texting on a Nokia flip phone I tell you. People with Altair programming experiences (most of them are Billionaires at this point, I am sure Bill Gates and Paul Allen qualify both on the experience count and the money count.) will know the fun of flipping bits on 8 blade switches to input a byte into memory. 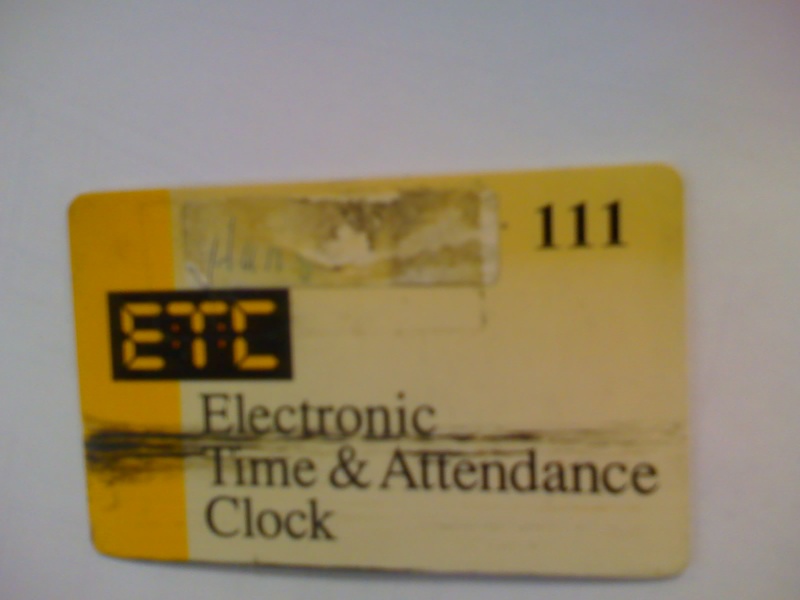 Back to its fun uses - you will see it being sold this day as a magnetic time card system among other things. 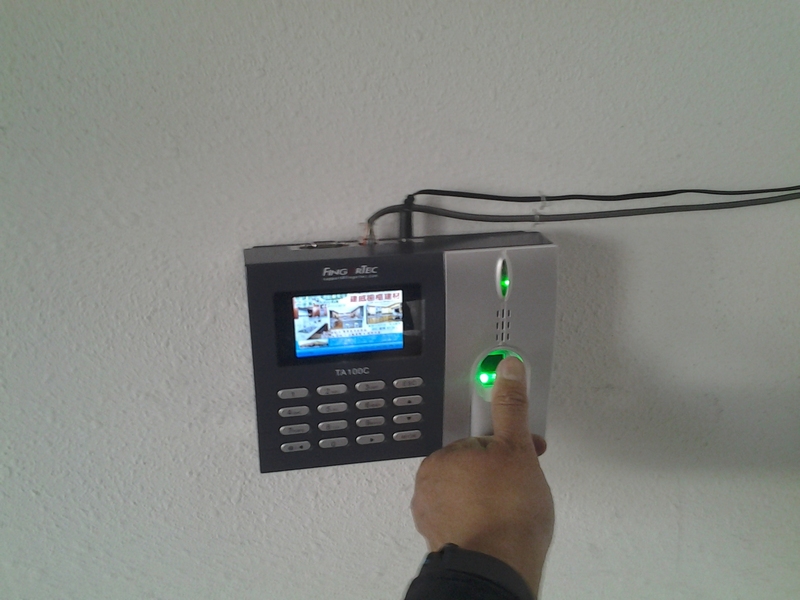 At any rate, using the Tranz's internal real time clock, ability to read and log mag card, accept numeric keypad input, and generate pin out, or even more awesomely, to dial the data out to a remote system using POTS. A competent programmer can build an awesome system. (What the people who sell the Tranz for time card will not tell you, you actually don't need to buy all those blank mag cards. In California at least, our Driver's Licenses have mag stripes on the back, and protocol being most valuable when they are compliant, the Tranz's mag reader can read that too. What a free and neat way to ID your employee huh. Swipe your DL on the terminal, and it logs your work time. Contact me if you are interested in modifying the Tranz for your own use. Because if I start showing you how to turn a 10 buck surplus "e-waste" (there is no such thing) into a 500 dollar commercial product here, I would be taking hard working people's well earned money out of their pocket, whist saving their wealthy client literally just a couple bucks a day. All while leaving me with not a penny, and still have to front the cost of running the server. In short, nobody wins if I spill the beans. Back to the Printer 250, so it died, and a replacement is not trivial cost wise as these things go. 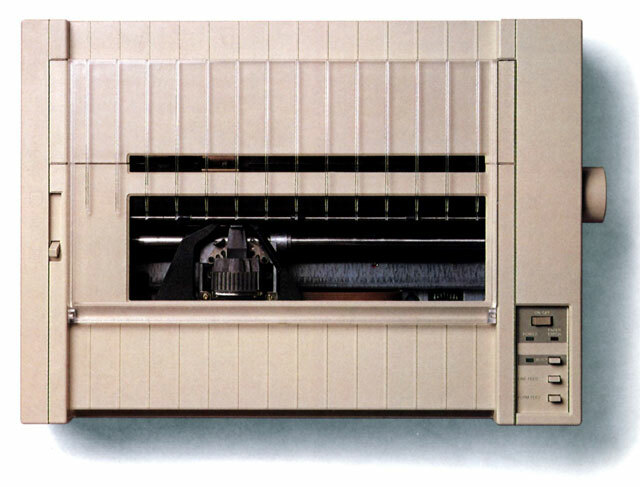 But I have the full documentation on hand for the Tranz and the Printer 900. Which told me it is just a regular printer, with a fixed character set, which despite its smaller size, runs on a regular serial interface. 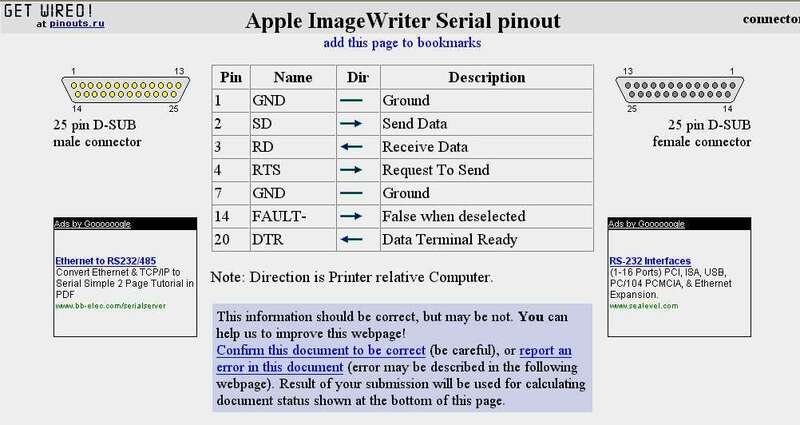 Okay, so there is a reason why the Parallel port on a PC is synonymous with Printer Port. Almost all printers that are not USB or WiFi are Parallel. The plugs are different, and the protocol is different. Remember what I said earlier about how everything used to use serial, not just the production, specialized devices like today? 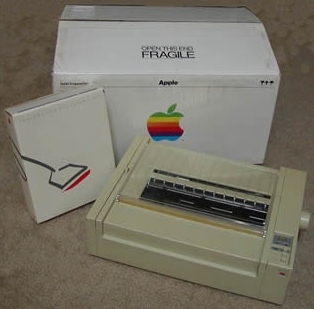 Welcome to my childhood friend: the Apple II, and arguablely the best consumer dot matrix printer ever made: The Image Writer and the Image Writer II. Being made in the late 1970s and early 1980s, these things did not have the luxury of IEEE 1284 since it wasn't widely adopted yet. Besides they run too slow to require anything with that much bandwidth. 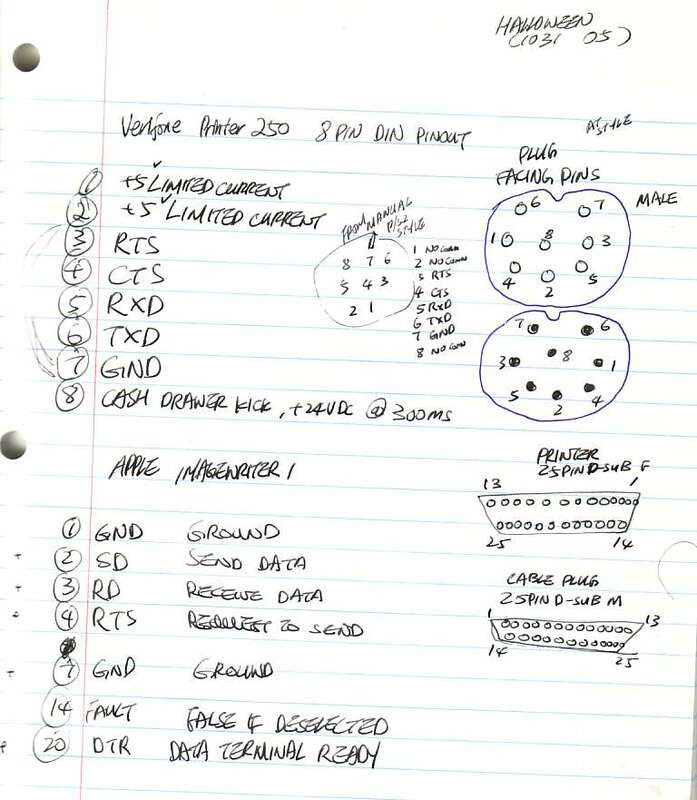 So the engineers at Apple used RS-232. 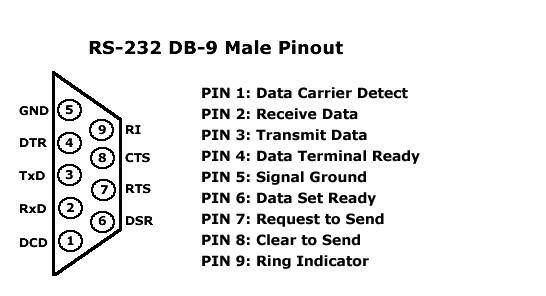 Interestingly, Pin#8 is a 24V Drawer Kick, presumably this little terminal is even capable of being programmed to function as a cash register as well. Take that Clover. 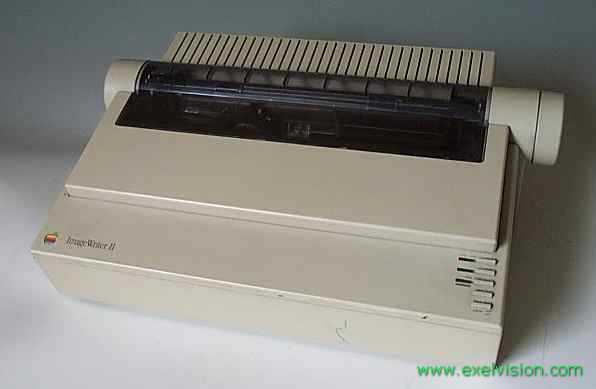 The Imagewriter, on the other hand, uses a 25pin D-Sub. Wasn't hard to figure out which pin goes where, it's just like trying to hook up the old camcorder to the old vcr to the old TV, just with soldering iron and individual wires and pins, that's all. 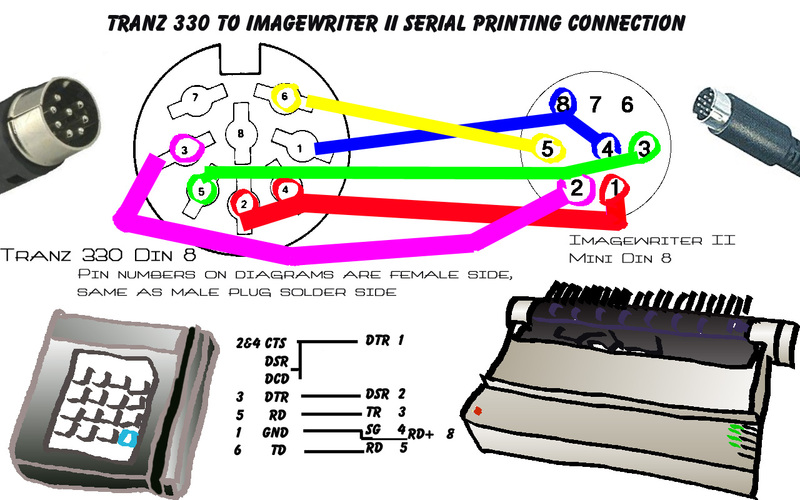 So if we can use the Image Writer to print credit card receipts, why not also make a cable for the Image Writer II? Same methology, diffent model variant. What might be of more of an interest to the reader who just happened to come across an Imagewriter and wanted to have fun with it. 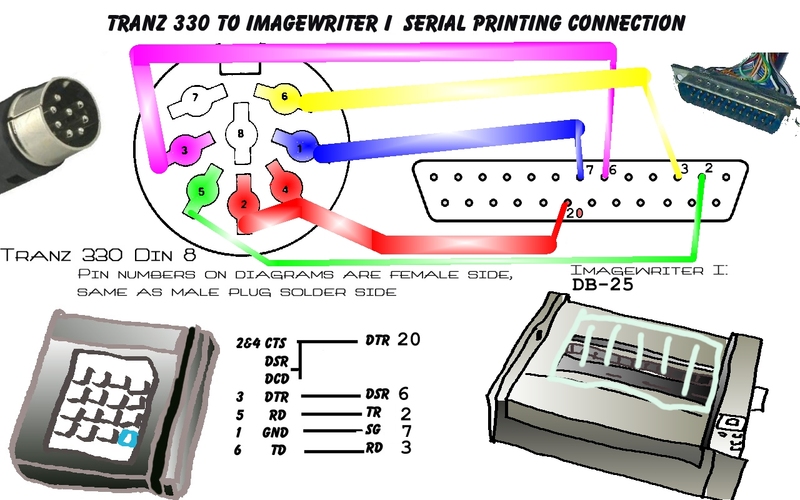 Being a standard serial printer, all you really needed is an off the shelf adapter / cable and an available serial port on your PC (have tried unsuccessfully to use a USB-Serial adapter.) The driver to use with it is the model C. Itoh 8510, which should be in the Windows driver respositary as shipped. At our lab we have tested this setup to work on a desktop.